It is most unfortunate, but the Obama administration’s $75 billion program to protect homeowners from foreclosure is now seen as a major disappointment. The New York Times, in a detailed front-page article over the weekend, reported that some economists and real estate experts now contend the program has actually done more harm than good. Here’s why: Even though the program has lowered the mortgage payments on a trial basis for hundreds of thousands of people, it has largely failed to provide permanent relief. This is especially evident on Long Island, where the high number of foreclosure filings continue unabated. Most of the homeowners who have signed up for the program are not able to make their monthly mortgage payments, even if they are lowered somewhat. 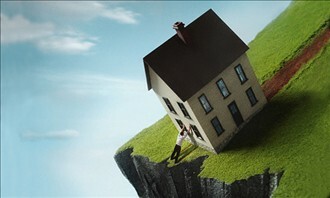 Consequently, many people still stand to lose their homes through foreclosure. The Making Homes Affordable program now has many critics who are increasingly arguing that it has raised false hopes among people who simply cannot afford their homes. Many desperate homeowners have sent payments to banks in often-futile efforts to keep their homes, which some see as wasting hard-earned funds they could have saved in preparation for moving to cheaper rental residences. Some borrowers have also been hurt because, unbeknownst to them, their credit ratings became tarnished since they falsely assumed that a loan modification did not result in the lender reporting negative information to the credit reporting agencies. In addition, the program requires the homeowner to enter into a three-month trial period with no guarantee of permanent success. Another major problem with the program is that lenders can be very fickle in deciding to grant a modification. The New York Times article pointed out that with the Bank of America, which has over a million outstanding loans that are eligible for modification, less than one percent resulted in permanent modification. In my Long Island mortgage foreclosure defense and bankruptcy practice, I regularly meet with Long Island homeowners who have fallen behind with their mortgage payments and are facing foreclosure. Sometimes, walking away from an unaffordable home is the best option. Here’s why: the homeowner can usually stay in the home for well over a year, and often as much as two years or more — without making any mortgage payments to the mortgage company or paying any real estate taxes to the town. Sometimes referred to as a “strategic default,” because the homeowner intentionally stops making the payments, it often has to be done in conjunction with a Chapter 7 bankruptcy filing which will enable the homeowner to eliminate any subsequent deficiency on the mortgage after the lender eventually takes the property back. Although President Obama certainly had the right idea to help the American public prevent foreclosure, the program is not working. The New York Times article reported that Treasury officials appeared to have concluded that growing numbers of delinquent borrowers simply lack enough income to afford their homes and must be eased out. As a result, there is a new, unadvertised federal program called the Foreclosure Alternatives Program, which aims to encourage arrangements that result in distressed borrowers surrendering their homes. The program will pay incentives to mortgage companies that allow homeowners to sell properties for less than they owe on their mortgages, which are referred to as short sales. Whatever the merits of its plans, the Times concluded that Washington has clearly failed to reverse the foreclosure crisis. In 2008, more than 1.7 million homes were “lost” through foreclosures. Last year, more than two million homes were lost, and a recent projection anticipates that this year’s number will swell to 2.4 million. I have found that Increasingly, more and more of my clients in a foreclosure situation are inclined to walk away and accept foreclosure, rather than continue to make payments on properties in which they have no equity. Assuming a homeowner is eligible for Chapter 7 bankruptcy relief, filing bankruptcy will enable the homeowner to eliminate any liability on the mortgage and, at the same time, eliminate all existing credit card debt as well. This is one way my firm regularly provides help to Long Island families in foreclosure.